Every bride-to-be knows the cute new thing is to come up with a sweet and clever way to ask your girls to play a part in the big day. 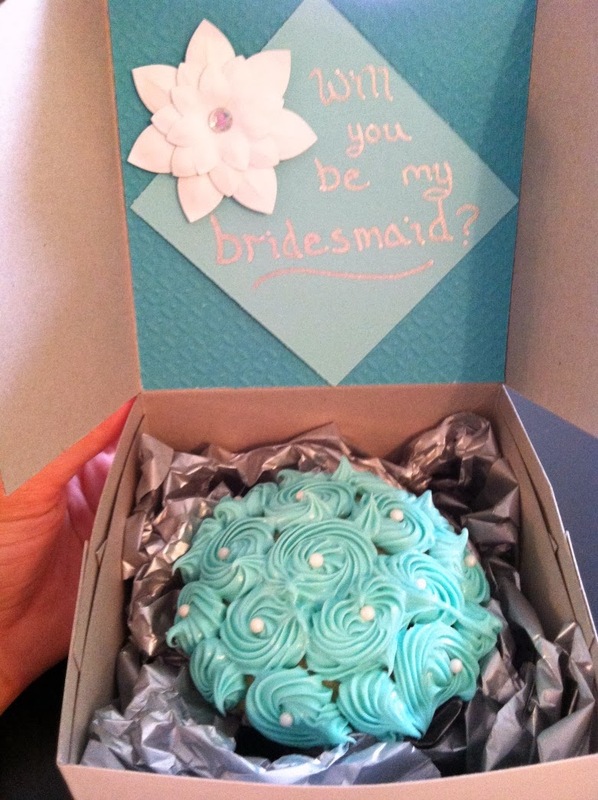 If you search "will you be my bridesmaid" on Pinterest, you'll get TONS of ideas! 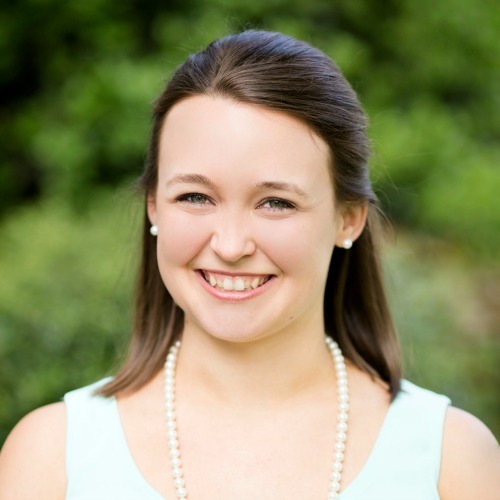 When I started thinking about who I was going to ask to be in our wedding (which is one of the hardest decisions I've ever made! ), I wanted to do something out of the ordinary. 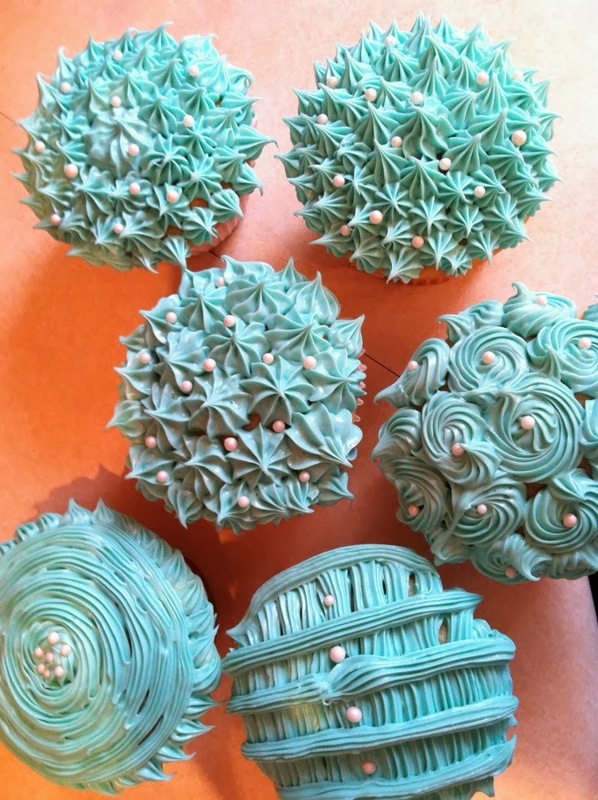 So, I decided to combine some of the inspiration I had seen with my wedding colors and my love of baking (after all, I had just gotten a new Wilton decorating kit as a gift!!!). Obviously this project is from a while ago since I'm now married, but I thought it was still worth sharing! I had so much fun making these! 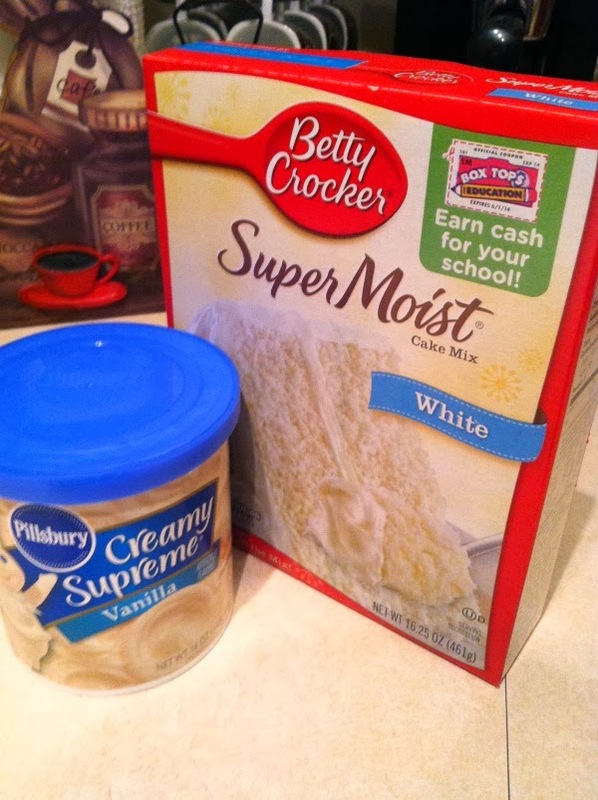 I then purchased an oversized cupcake pan and large cupcake boxes from Michael's. 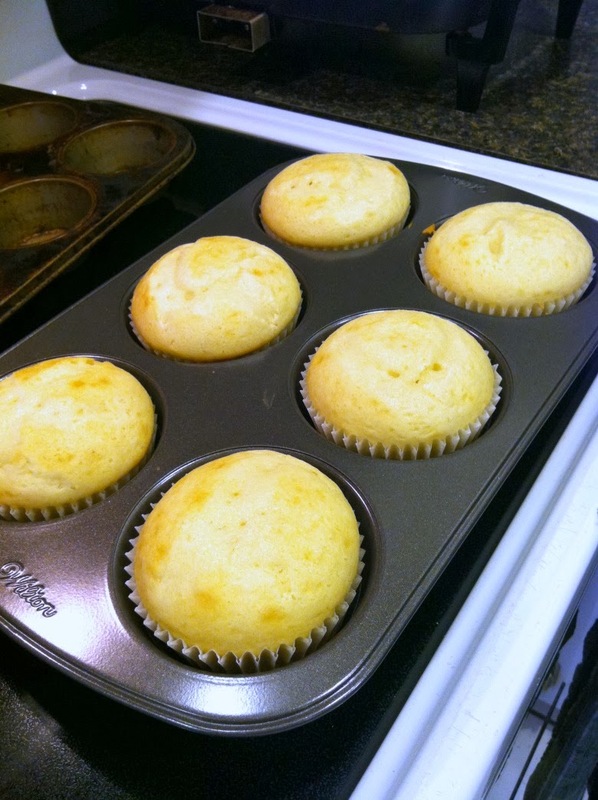 These cupcakes are not your standard size.. they're GIANT cupcakes! Yum! 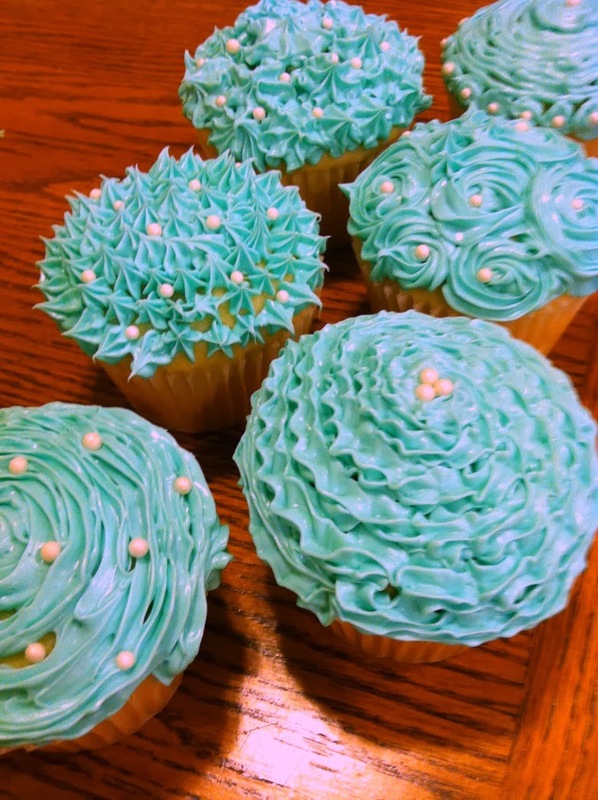 I made extra cupcakes with each batch so that I could play around with different patterns and shapes with the icing. I would then pick my favorites as the ones to give the girls! 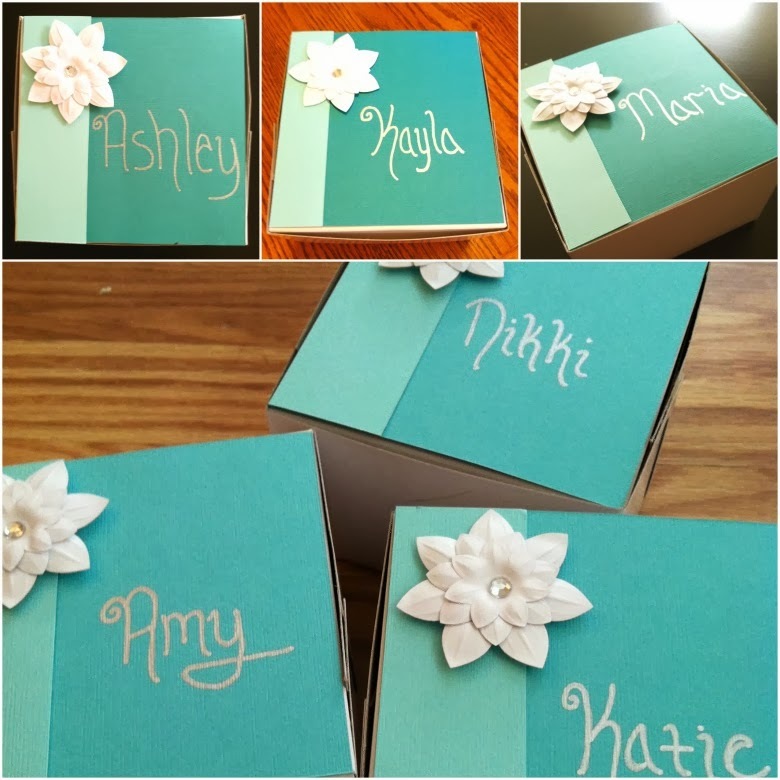 For the cake boxes, I used scrapbook paper in my wedding colors, a paint pen, and some flower embellishments I found at Michael's. This is where you can get really creative. 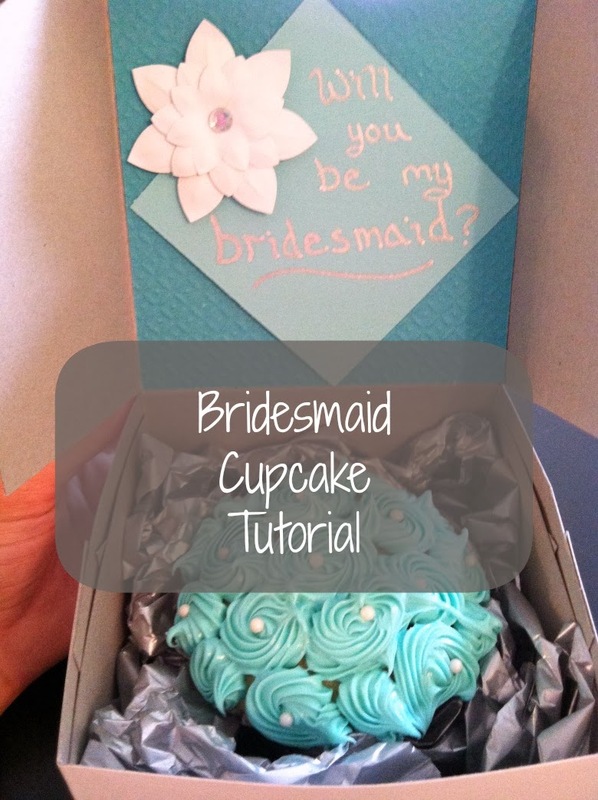 You can literally use any color scheme and any embellishments! Why not add some ribbon or lace? Make your own flowers. Add some jewels or buttons. Use some cute scrapbooking stickers. The possibilities are endless! For the inside lid of the boxes, I made them all pretty much the same. 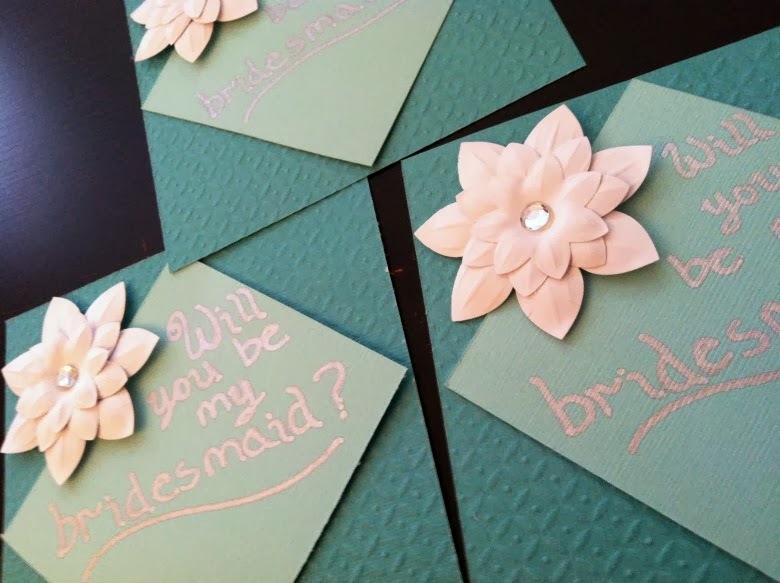 I hand wrote "Will you be my bridesmaid?" with a silver paint pen. 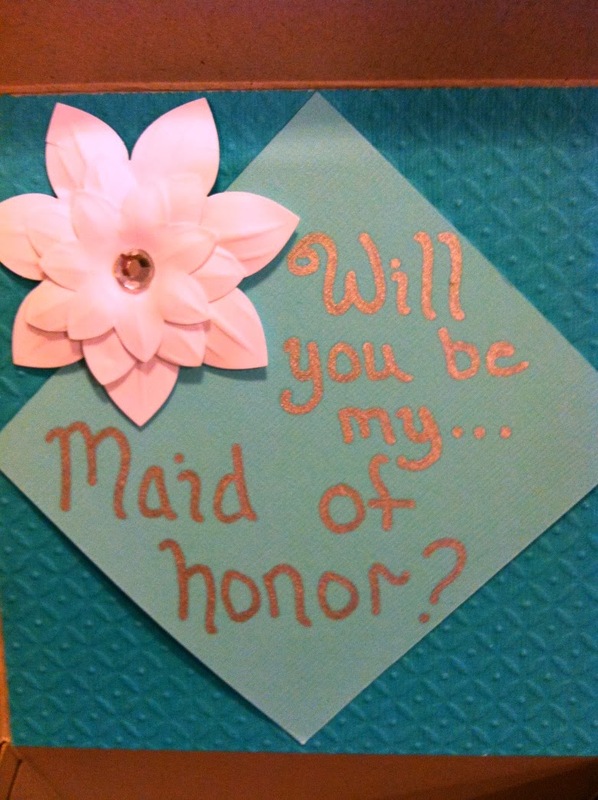 Except my sister's.. hers said maid of honor! 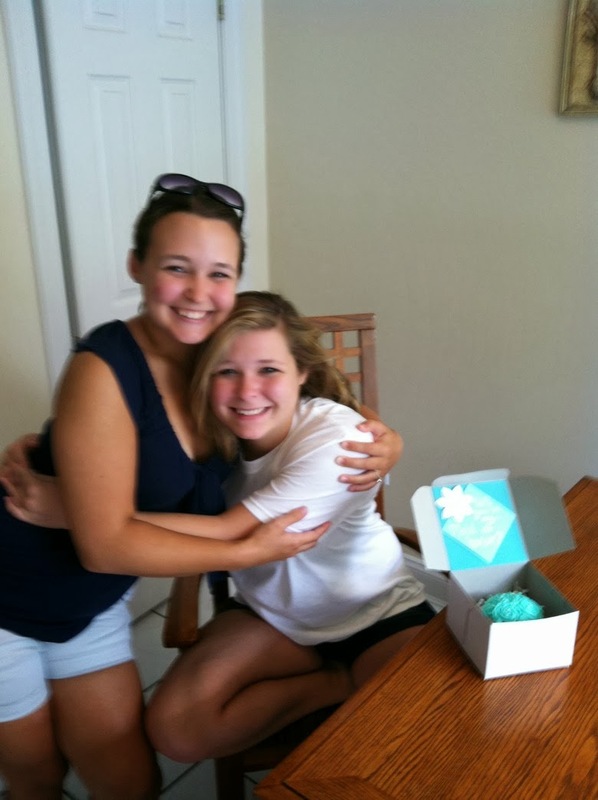 And here's my sister and I, super excited about her awesome cupcake! !